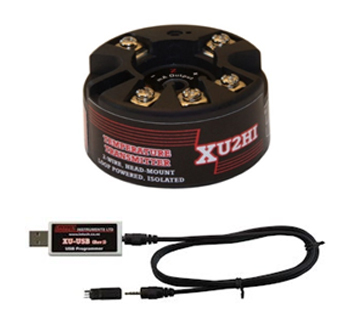 The Intech XU2-model Hockey Puck style transmitter, USB Programmable with easy to use set up software. A universal input with a large selection of input types and Loop Powered 4-20mA Output. Programmable via USB (requires the XU-USB programming key). Thermocouple B, E, J, K, N, R, S, T. (XU2HI only). Output is linear with temperature. Compact industrial head mount enclosure. USB programmable RTD or Thermocouple temperature input. Standard RTD Pt100, 0 – 100°C input; upscale; 4 – 20mA output (loop powered). USB programmable RTD temperature input. Easy user programming using USB connection. No calibration required after range has been programmed. Used to calibrate all XU models of transmitters. The Intech PR-model is a Spring loaded Hockey Puck style transmitter, USB Programmable with easy to use set up software. A universal input with a large selection of input types and Loop Powered 4-20mA Output. IECEx Certified hazardous area use. Suitable for 85°C and waterproof requirements as well as food manufacturing. Linearized Temperature Measurement with Pt100 Sensor. For mounting in DIN 33mm centre terminal heads. Accepts all RTD and resistance measurements. 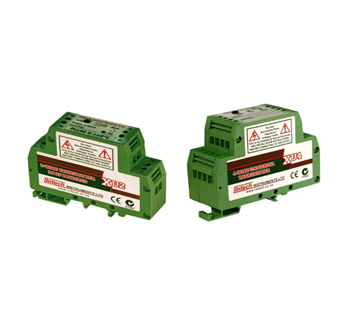 Accepts all Thermocouples and RTD types, isolated to 1500V. HART 5 and HART 7 communication available with IECEX intrinsically safe approval. Remote user programmable within seconds. The Intech XU2 is a DIN Rail Mount, USB Programmable with easy to use set up software. A universal input with a large selection of input types and Loop Powered 4-20mA Output. No power supply or calibration required during programming. Thermocouple B, E, J, K, N, R, S, T.
For RTD and Thermocouple; Output is Linear with Temperature. Case Temperature range -20°C to +80°C. Compact DIN Rail Mount Enclosure. 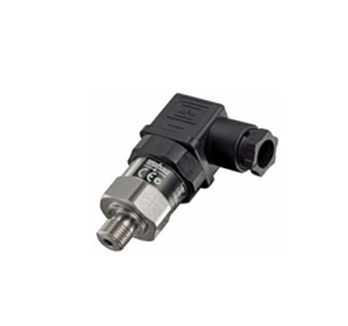 Industrial pressure transmitter, accurate, robust and built for long life. 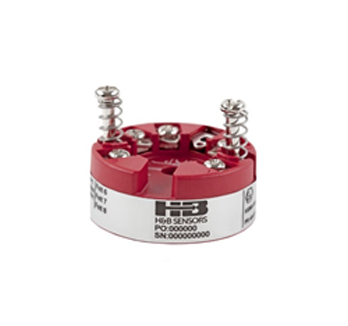 Transmitter is high shock and vibration resistance, and can preform reliability all day. Trafag full catalogue range +specials. Range between -100 mBar up to 2500 Bar. Output- 4-20mA and 0-10 VDC. Electrical connector mini 90 degree electrical connector to IP65.